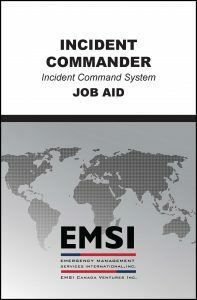 The Incident Commander is responsible for directing and/or controlling resources by virtue of explicit legal, agency, or delegated authority, as well as the overall management of the response. ICS-310 builds upon previous NIMS and ICS courses to provide position specific training by providing government and private industry emergency responders with a robust understanding of the duties, responsibilities, and capabilities of an effective Incident Commander (IC). This course is an instructor-led training that supports learning through discussion, lecture, and active participation in multiple exercises that provides a realistic, hands-on approach to mastering the skills required of an IC. Response personnel assuming the role as an Incident Commander on a Type 3 Incident Management Team.